Miami Trace Local Schools received a “C” district grade, according to the recent release of the Ohio School Report Cards. According to reportcard.education.ohio.gov, Ohio School Report Cards give the community a picture of the progress of local districts and schools in raising achievement and preparing students for the future. The information measures district and school performance in the areas most critical to success in learning. Ohio School Report Cards data shows educators, school administrators and families where their schools are succeeding, as well as areas where they need to improve. Ohio School Report Cards are divided up into six components: Achievement, Gap Closing, Improving At-Risk K-3 Readers, Progress, Graduation Rate and Prepared for Success. 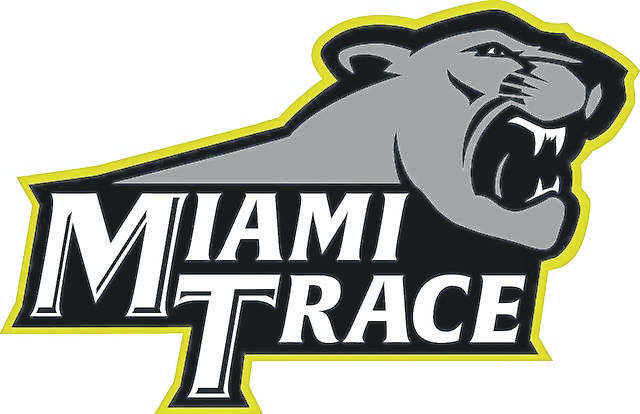 For Miami Trace, the scores were pretty good in most of the components and placed them at or just above state averages. Starting off, the “Achievement Component” represents whether student performance on state tests met established thresholds and how well students performed on tests overall. A new indicator measures chronic absenteeism. In the achievement component grade, they earned a “C” based on two sections, the performance index and indicators met. The “Performance Index” measures the test results of every student, not just those who score proficient or higher. There are seven levels on the index and districts receive points for every student who takes a test. The higher the achievement level, the more points awarded in the district’s index. This rewards schools and districts for improving the performance of all students, regardless of achievement level. Out of a possible 120 points, the district earned 91.9 points, good for a 76.6 percent or “C” letter grade. Unfortunately Miami Trace was unable to meet the majority of indicators, which measures the percentage of students who have passed state tests, and also includes the gifted indicator and the chronic absenteeism indicator. Out of 24 indicators — which includes subjects such as English Language Arts measured in the third through 12th grades — only nine were met, for an “F” letter grade. Despite this score, this isn’t too disappointing for the district in comparison as they were above similar districts and the state as a whole in nearly every grade and on nearly every test. The “Progress Component” looks at the growth that all students are making based on their past performances. This section looks at the fourth through eighth grade and high school students, identifies them as either gifted students, students with disabilities or students in the lowest 20 percent statewide in achievement, and then compares them with how they did in the past. In the progress component grade, the district earned a “B” based on four sections, the three groups of students growth and the overall growth. For all students in math, English Language Arts and science, the progress has showed good growth with an “A” letter grade. Gifted students and students in the lowest 20 percent both additionally grew at a great rate and earned an “A” letter grade apiece. Finally, students with disabilities saw the least amount of growth with a “C” letter grade. Also included in the progress section are further details to show in what particular subjects are students seeing more or less growth. For all grades (fourth through eighth), in all tests except science, there was significant evidence to suggest that students made more progress than expected. Unfortunately for science, students seemingly made less growth than expected. These scores are further broken down by showing that students in the fifth grade grew the most across the board and students in the eighth grade had a bit more stagnation than other grades. The “Gap Closing Component” shows how well schools are meeting the performance expectations for our most vulnerable populations of students in English language arts, math, and graduation. It also measures how schools are doing in helping English learners to become proficient in English. In the gap closing component grade, Miami Trace earned an “A” based on one section, annual measurable objectives (AMOs). These AMOs compare the performance of each student group to the expected performance goals for that group to determine if gaps exist. A fourth AMO measures whether English Learners are making progress towards becoming proficient in English. The ultimate goal is for all groups to achieve at high levels. In nearly all instances (English Language Arts, math and graduation) across the board based on any sub group (race, disability, economic disadvantage), the district met its goals, sometimes in excess of 15 percent. The “Graduation Rate Component” looks at the percent of students who are finishing high school with a diploma in four or five years. In the graduation rate component grade, the district earned a “B” based on two sections, four-year and five-year graduation rate. According to Miami Trace Superintendent David Lewis, the district is hoping to return this grade back to an “A”, but they are currently being punished in this area of the report card for doing what he says is best for the kids. Compared to similar districts, this “B” grade brought Miami Trace just under those districts — though the district is still above the state average. The “Improving At-Risk K-3 Readers Component” looks at how successful the school is at improving at-risk K-3 readers. In the improving at-risk K-3 readers component grade, Miami Trace earned a “C” based on an “On Track” system. According to the report card, 114 students started off track to ensure they are proficient in English Language Arts by the end of the third grade. The report card states that 50 students moved to “On Track” (or 43.9 percent). Additionally, 100 percent of third grades met the Third Grade Reading Guarantee requirements for promotion to fourth grade and 72.3 percent of third graders scored proficient on the state English Language Arts test. Students have multiple opportunities to meet promotion requirements including meeting a minimum promotion score on the reading portion of the state’s third grade English language arts test given twice during the school year. Students have an additional opportunity to take the state assessment in the summer, as well as a district-determined alternative assessment. The “Prepared for Success Component” looks at how well prepared Ohio’s students are for all future opportunities. In the prepare for success component, the district earned an “F” based on an indicator that tallies the number of ACT, SAT, AP and other exams taken, and how well the student did. Additionally, the school can earn points for students who earned at least three college credits before leaving high school. Out of a possible 359 points, the district earned 116.5 points.The first 97 points came from students that earned a remediation free score on all parts of the ACT or SAT, earned an honors diploma, and/or earned an industry-recognized credential. The last 19.5 points were earned by students who did the above and also earned a three or higher on at least one AP exam; earned a four or higher on at least one IB exam; and/or earned at least three college credits before leaving high school. The information in this article was provided by assistant superintendent Kim Pittser and reportcard.education.ohio.gov.